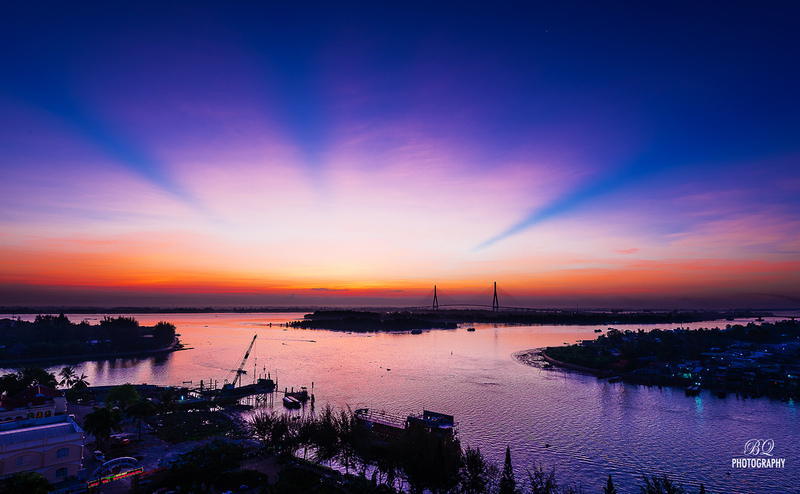 Sunrise is up horizontally about 5:15 a.m in a charming morning at a branch of Mekong river. 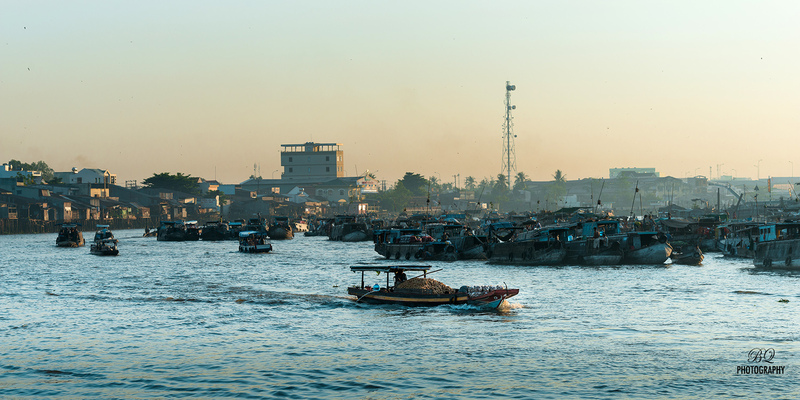 A new day starts peacefully with hundereds of motor boats and sampans moving back and fro at the floating markets in the river. 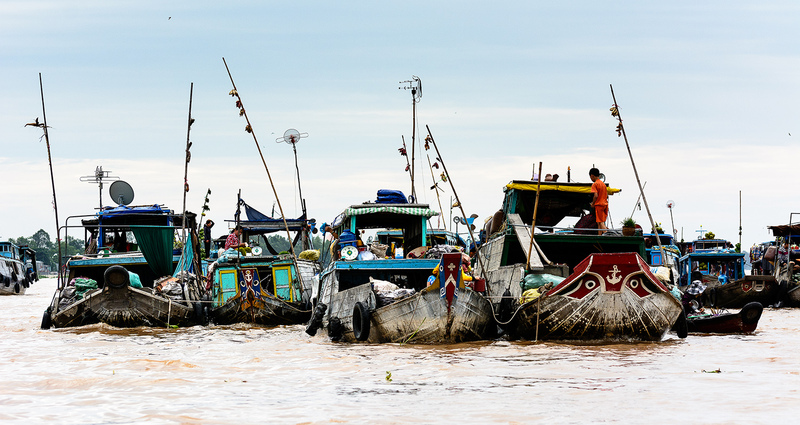 Each boat is containing variety of tropical fruits, food or vegetables to purchase. 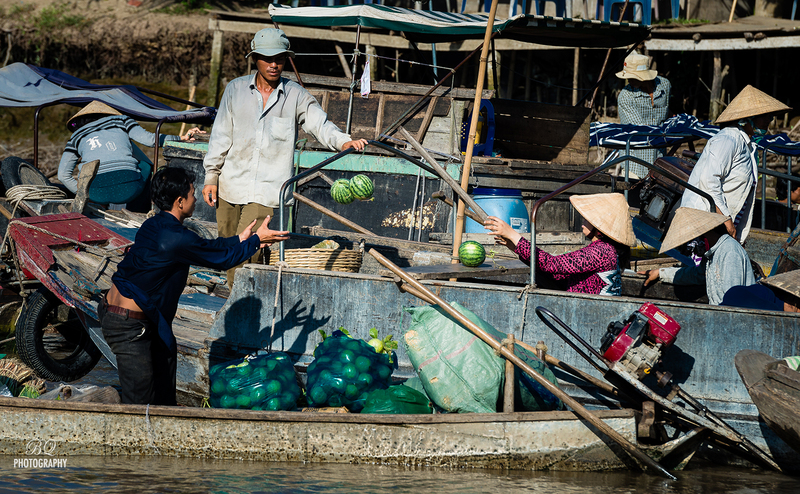 The floating markets are daily crowded from the early morning until noon time. 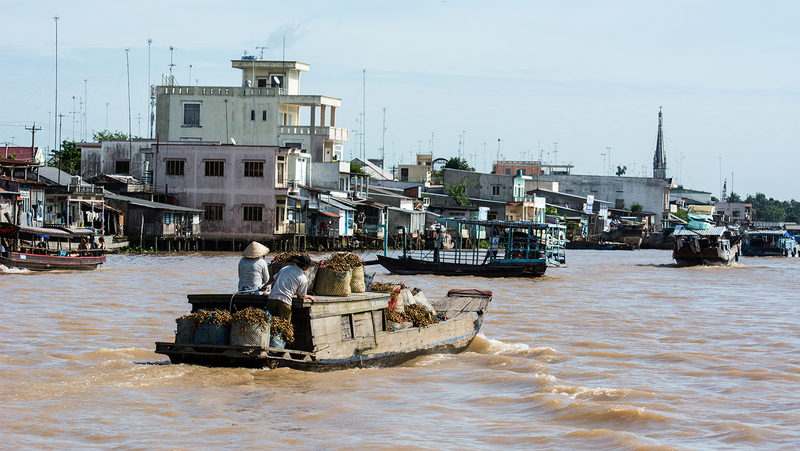 This life style has become a relic of Mekong life. Simply, every little thing can make a tremendous love here. 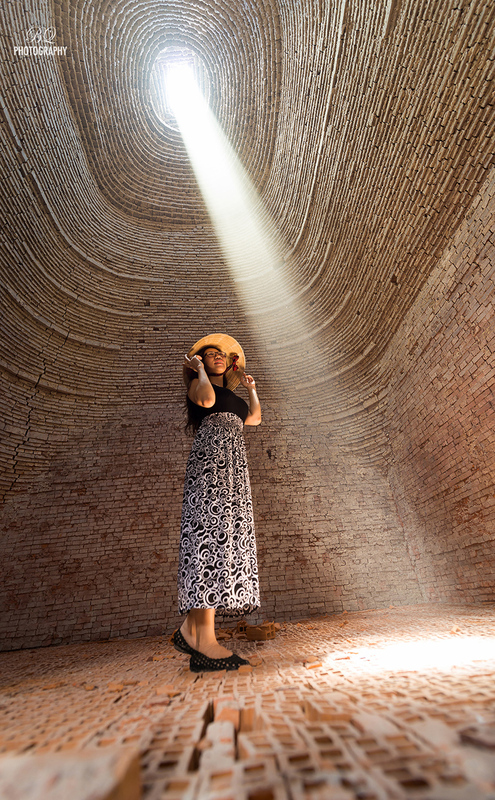 It can not be missed for a photography trip at this place. 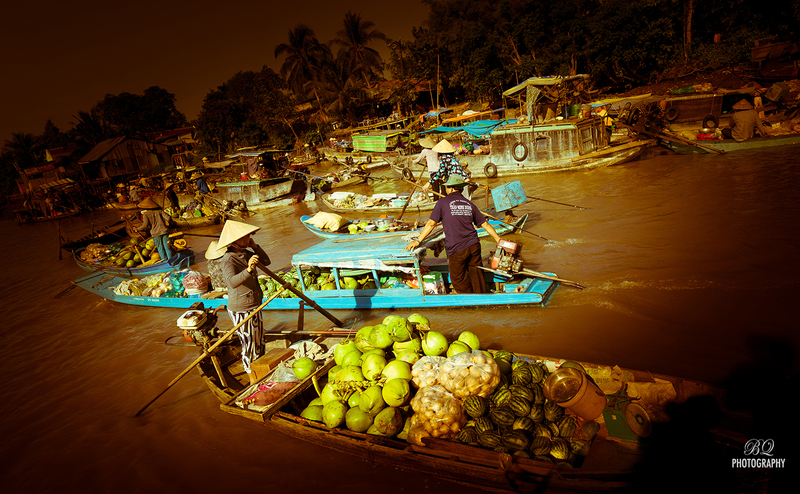 Nowhere else in Vietnam can find the much of tropical fruits as from Mekong delta. This holy land has been offerred a productive tropical gardens. 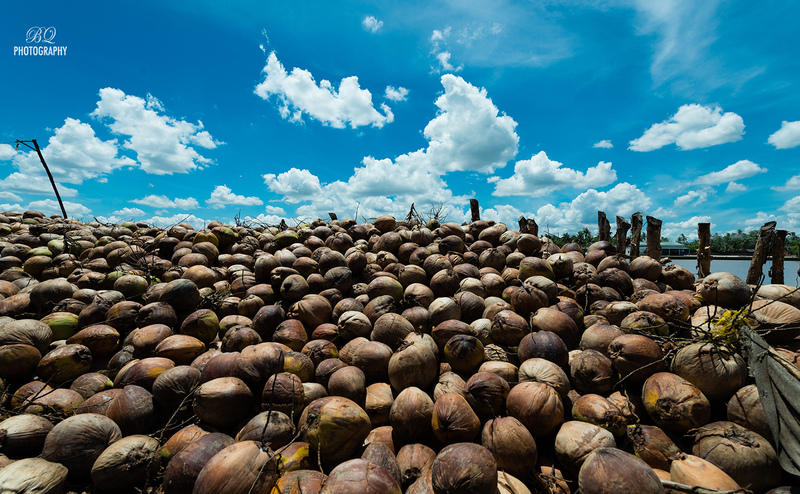 Thousands tons of coconuts can be havested a year. 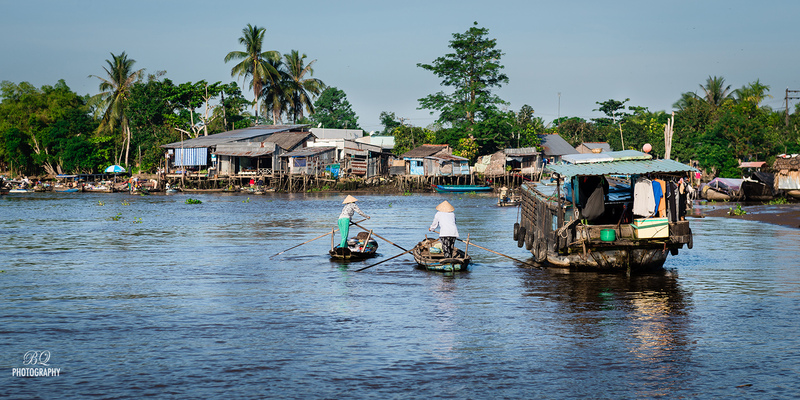 Rambutans, watermelons, jackfruits, longan or mangos are planted all over the delta.